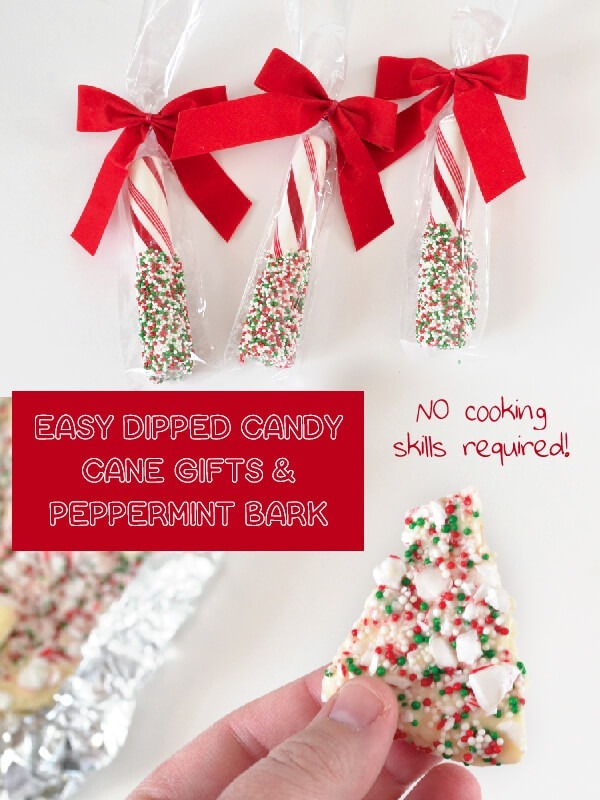 So today we’re dipping into candy cane mania post #2! 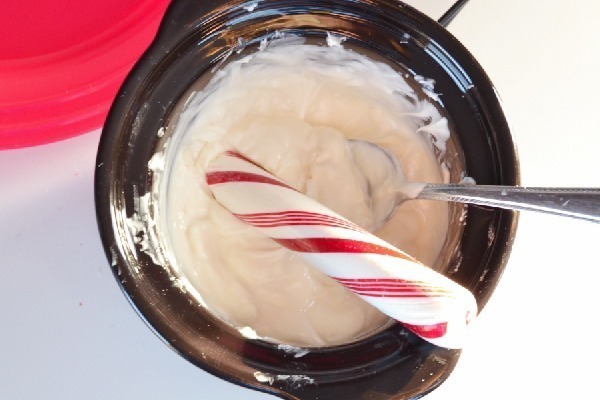 If you didn’t know I loved candy canes with my peppermint cream cheese iced chocolate cupcakes I shared a bit ago, you’ll know all about it now! Candy canes are the most recognizable Christmas treat around these parts. We don’t really do fruit cakes and I’ve never known anybody (except for someone who was pregnant at the time) who was crazy for eggnog. Nope, here it’s candy canes, baby! I love how inexpensive they are and I love that you can only get them one time a year. When that first chill hits the air I’m ordering a peppermint hot chocolate and getting the bottle of peppermint extract out of my herb and seasoning storage! And while I know that others appreciate the pepperminty flavor, not everybody is going to want to bust out an icing bag and get after it on cupcakes or, heck even dirty up more than a single pan for a seasonal treat. 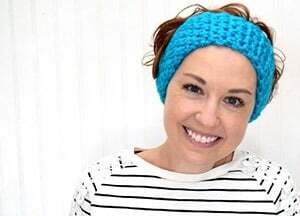 So today I’m sharing this entirely cute and totally easy recipe/tutorial! Toss your melting chocolate in a tiny crock pot. This is the easiest way to dip things without the chocolate turning solid or burning too quickly on you. 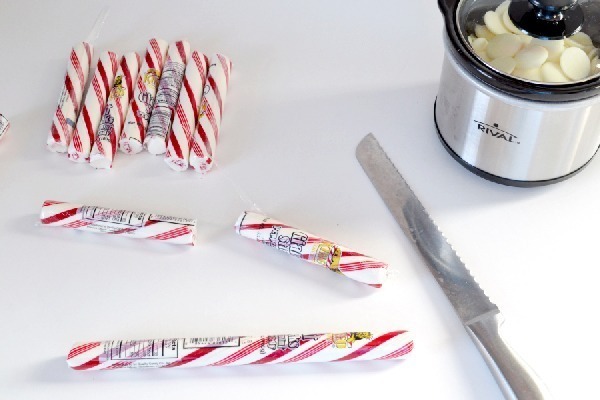 Using a serrated knife start to saw your big candy canes in half. It doesn’t take much of a cut before you can easily snap the big piece into two smaller pieces. Put the cane into the chocolate, cut side down trying not to allow it to touch the bottom or it will crack. Use a spoon to help push the chocolate up to about the halfway point and twirl the cane until evenly covered. You’ll hear the candy cane start to crack which is just a good reminder to work quickly! Roll the cane in your nopareils to coat fully. Place on a tray or something similar so the chocolate can fully harden. 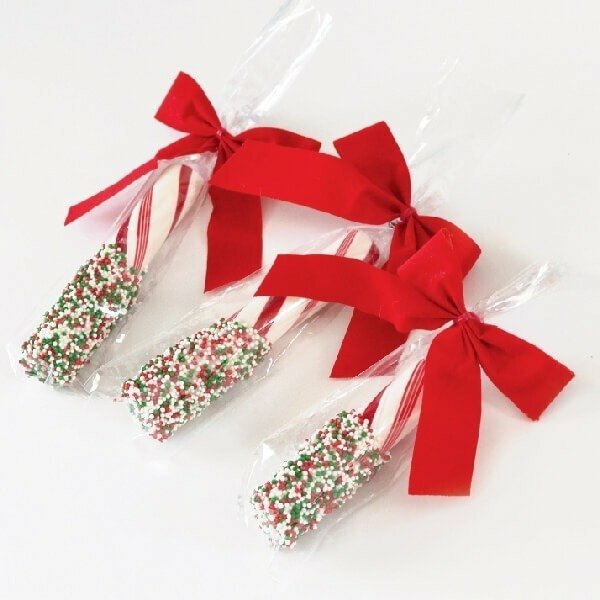 Carefully place each candy cane into a treat bag (these are for chocolate covered pretzels) and tie up with a pretty bow! If you put the canes in with the opening facing downward, the sprinkles that aren’t stuck will fall off so that you don’t have a whole mess of them loose in the bag. Take your unused melted chocolate and place onto a piece of heavy duty aluminum foil. 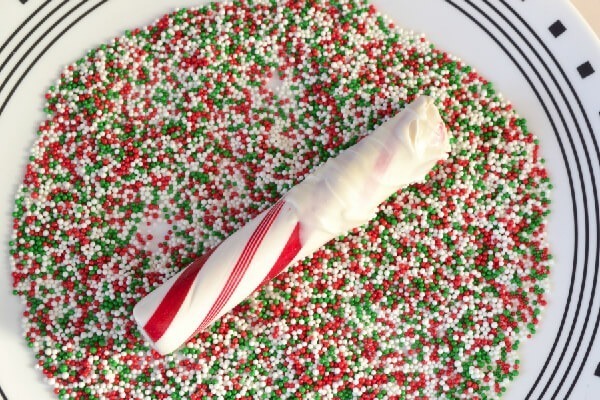 Top with your unused nonpareils and a couple of crushed up candy canes (it is a good idea to do this beforehand). 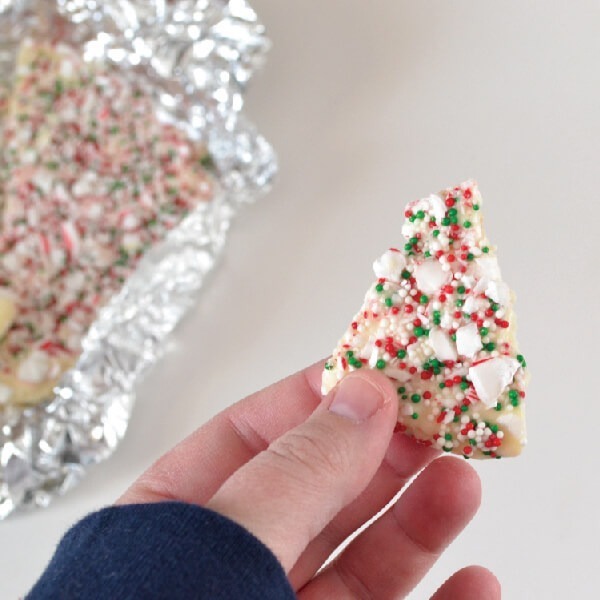 Push the sprinkles and peppermint bits into the chocolate and kind of spread out over the foil. Allow to cool fully and you’ve not wasted a bit with this recipe! But don’t forget the stars of this show! These make great, inexpensive gifts when you need something to give out in bulk. You can also use milk or dark chocolate, whatever strikes your fancy. I go white just so the color palette isn’t compromised. Typical matchy, matchy me! Will you be making some to give out for the holidays? 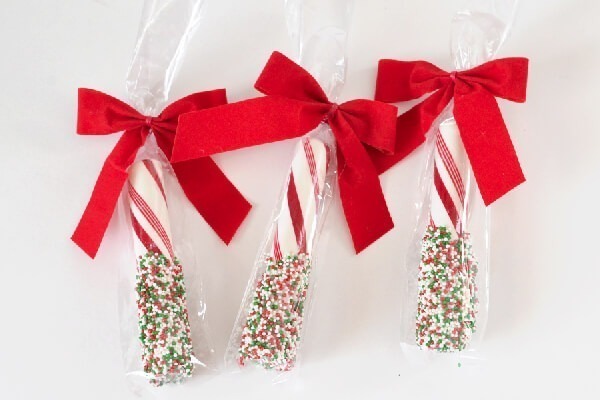 If you love candy canes, you’ll also love the post, that’s supposed to be on my blog next week – I’ll let you know, when it’s online! Ah, if they’d make the journey unbroken, I’d totally send you a few :) Can’t wait for next week! My post should be online 10:30 pm your time – if I calculated/converted correctly!